Just what U.S. and European airlines don’t want to hear – a Gulf region carrier with growing numbers. Etihad Airways, the national airline of the United Arab Emirates, carried a record number of passengers and cargo in 2014 – 14.8 million travelers, an increase of 23 per cent over 2013. Less than 15 million passengers might not sound like a lot compared to major U.S. and European carriers like an American Airlines, Delta, British Airways or Lufthansa, but they’re all concerned with the expansion and growing traction of Middle East-based airlines such as Etihad and Emirates, which are increasing lucrative international routes. Etihad Airways introduced 10 additional destinations to its global route network in 2014, with new services launched to Medina, Jaipur, Los Angeles and Zurich in the first half of the year, and Perth, Rome, Yerevan, Phuket, San Francisco and Dallas in the second half of the year. In addition, frequencies were increased on 23 existing routes globally in 2014. 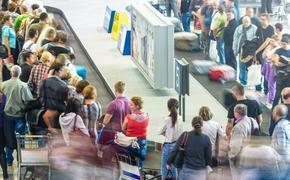 In total, Etihad Airways carried more than 74 percent of the 19.9 million passengers who traveled through Abu Dhabi International Airport in 2014. 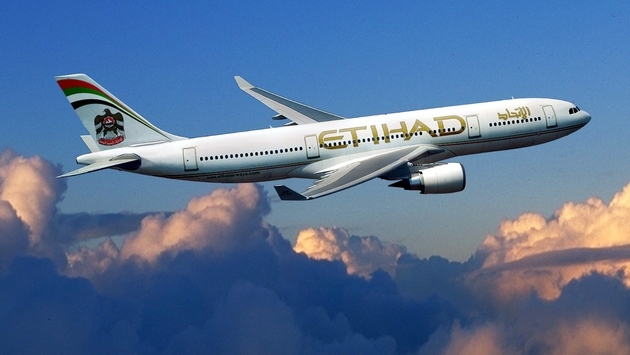 “Our business model, which focuses on organic network growth, codeshare partnerships and minority equity investments in other airlines, continued to yield positive results in 2014 and surpassed our double-digit targets for passenger and cargo growth,” James Hogan, President and Chief Executive Officer of Etihad Airways, said in a statement. The airline also expanded its codeshare and equity partnerships last year. These partnerships delivered more than 3.5 million passengers onto Etihad Airways flights, an increase of 40 percent over the 2.5 million passengers in 2013. “We enter 2015 as a stronger, more dynamic airline that will continue to enhance the growth of Abu Dhabi as one of the world’s emerging aviation hubs,” Hogan said.